After a long day of running errands from this bank to that bank, I have finally got some sleep and woke up to find myself surfing again. And guess what!! I have found a new gadget that I would really love to add on my Christmas Wish List!! I came across the new Polk iSonic ES2 from HDRadio.com.When I was reading about its features, I almost jumped out from my chair in sheer excitement and saying “WOW” all the time. OK, I may sound so stupid but hey, I have a passion for good quality music and those that comes for a digital source is surely one of the best. 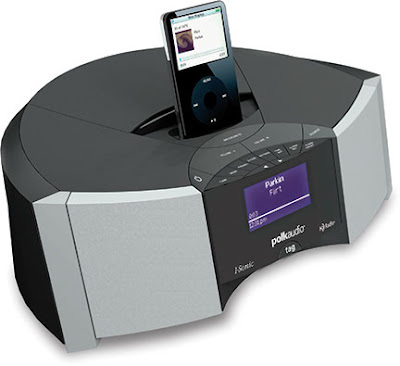 Aside from an advance acoustical system, Polk iSonic ES2 has an alarm clock, iPod port, and iTunes / iPod Tagging. It also accepts all kinds of iPod models. It can also allow users to connect it into a TV or video monitor so that users can view the videos stored on a video iPod. Cool right? Anyway, this stand alone gadget can search for local radio stations and can deliver it also with pure digitized music. So, if you have forgotten to bring an iPod, the party doesn’t need to stop. Just search for your favorite local radio stations and bang! The party goes on. Gesh, I am really longing to buy these music gadgets!